Go to the Horizons tab and select a horizon. Expand the Display/Histogram section in the Details Panel. Select the Histogram type and click Create. 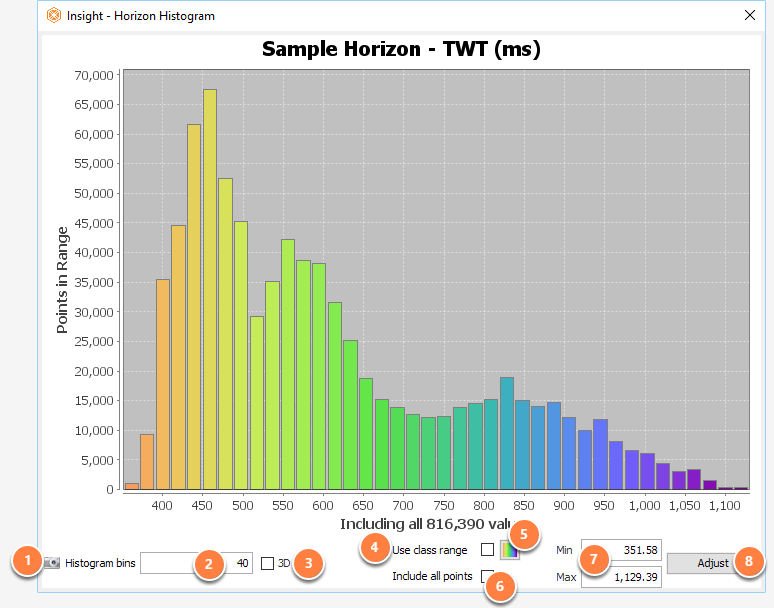 A pop-up window with the histogram showing the selected distribution will be displayed. Go to Control Panel > Map view. 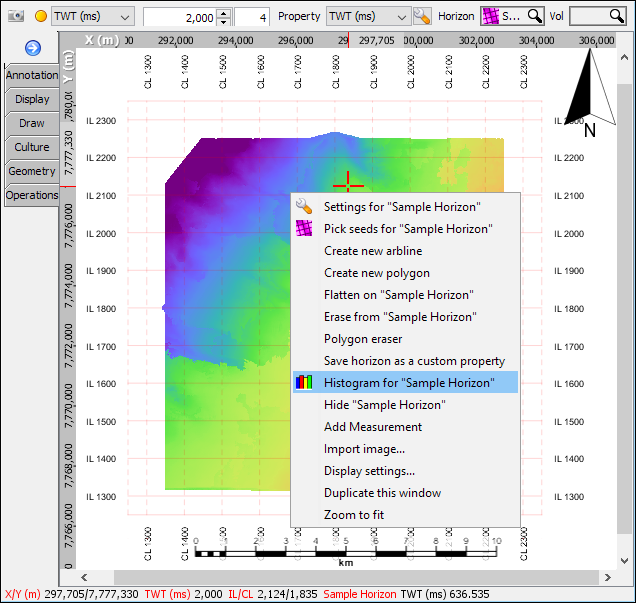 Select the desired horizon from the Horizon box at the top navigation bar. 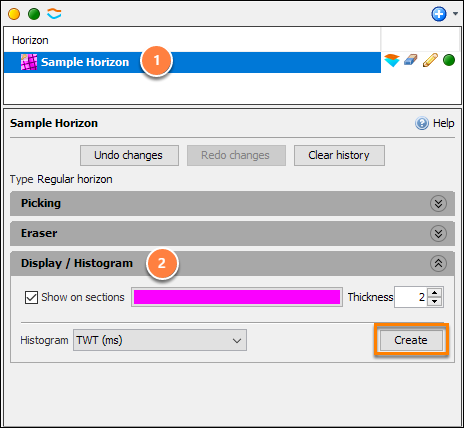 Right click on the map view and select Histogram for "horizon_name". Capture image: Click to capture an image of the histogram (see Taking Screen Captures). Include all points: When checked, points below the range are included in the first bin, and points above the range are included in the last bin. If unchecked, these points are ignored. Min/Max value: Enter the minimum and maximum bin values for the histogram. Adjust button: Set the min/max to the smallest/largest data points respectively.